This CAL ended November 2015. Pattern is available in my RAVELRY STORE. The past two weeks have been such crazy busy weeks for me, and on top of that my Internet connection has been so slow that my Blog was not loading properly. The connection seems to have stablilized (holding thumbs) - so let's make hay while the sun is shining (or at least while there is a speedy connection)! Your cushions are all looking quite fabulous!!! Elizabeth appears to be our most enthusiastic CAL friend! She is making FOUR cushions at the same time! WOW! 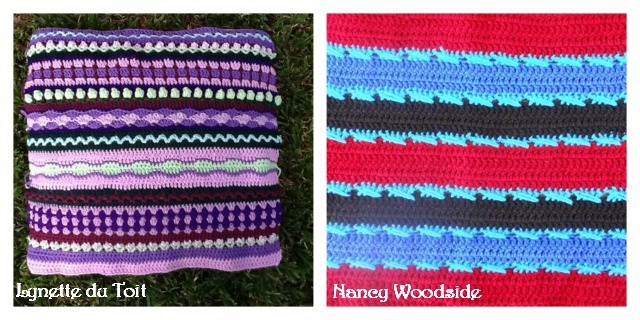 Lynette and Nancy have been very creative with their cushion backs!! 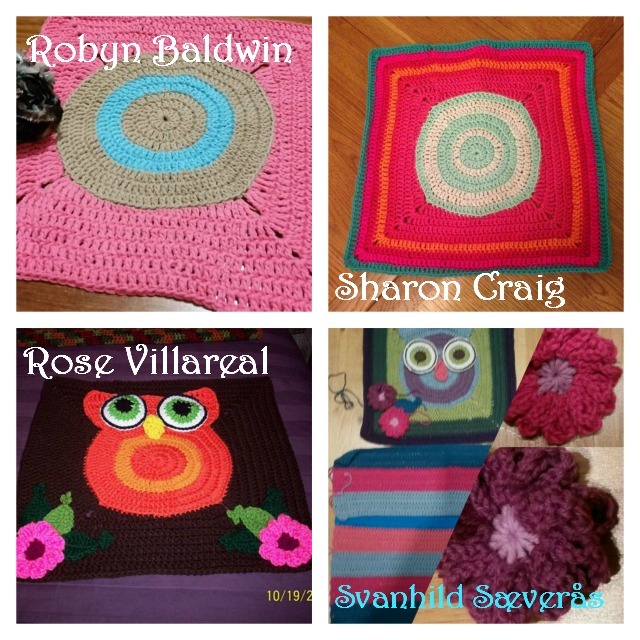 Robyn, Sharon, Rose and Svanhild have chosen gorgeous colours for their cushions! 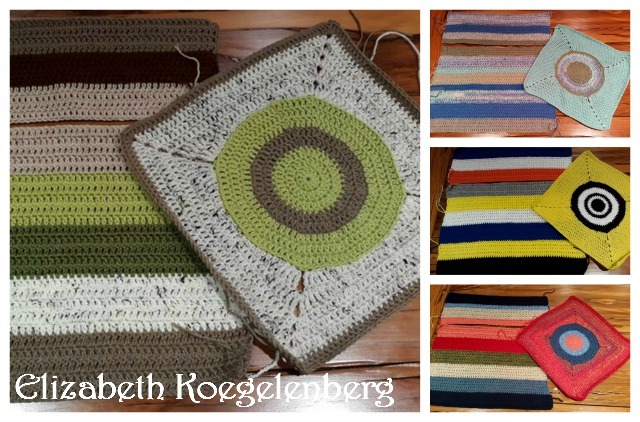 Please keep on sharing your photos - it is wonderful to see how each and every cushion grows in such an individual way! Please leave a comment. Your feedback is important to me!